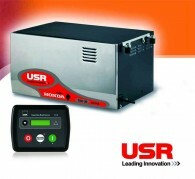 3KVA USR TUC-29 RV Generator powered by HONDA. The sad reality of life is that good things may not always last forever. One day, that lovely electrical power that keeps your world beaming and all your appliance running in Australia would go off abruptly without warning. What would you do then? Would you just keep your hands helplessly on your chin caught unprepared? No. Getting a portable generator that is on for sale can go a long way to protect yourself from the emergency of power outages. At PowerCare, we help you ensure the eternity of power supply in your home, or general facility by providing you with the best portable small generators for sale pertaining your power needs in Australia. Our portable generators in Australia for sale are well equipped to serve your power needs on the emergency as well as on the long term. Combining portability, safety, and quietness, your comfort is infinitely guaranteed in no small measure. Well-nourished the most sophisticated and latest technologies, our portable generators here in Australia will feed your home electrically to satisfaction getting all your appliances running smoothly. Modern generators even in Australia can still suffer leaks. There are other cases where fuel is being constrained in the fuel system of the generator. At the end, this can prompt the risk of spoilage in course of storage. This is why our portable generators for sale at PowerCare come girded with manual fuel-shutoff switches. You can easily turn on your switch allowing the smooth operation of the engine with the generator shutting the fuel off automatically when the engine is switched off. 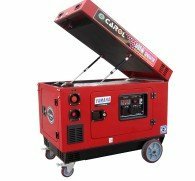 This way our small portable generators for sale in Australia don't suffer the dangerous anomaly where gas is extensively drained from the fuel system. Our generators don't overheat. While running a generator can consequently prompt overheating, causing real damage to the engine; this is not the case with the portable generators for sale at PowerCare in Australia. Featuring a low oil shutdown technology and clever designed canopy with adequate ventilation, our small generators are able to prevent overheating running at optimal and safe temperature. Our portable generators in Australia come with circuit breakers to ensure against any incidence of an electrical mishap. The chances of electrocution are eliminated. Our small generators for sale at PowerCare also come with an automatic voltage regulator, this is of no small importance. This way your small generator is able to consistently operate at a stable safe power level with no impact to any electronic devices in Australia. You shouldn't stress yourself needlessly moving your generators about. At PowerCare in Australia, we carefully watch out for your comfort when using these portable generators, hence our portable generators for sale are very easy to use. Portability is guaranteed. Quick mobility of our small generators is also assured for the user as he can easily move the generator about especially by wheeling it. 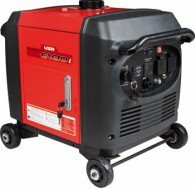 Otherwise, our portable small generators for sale here at PowerCare in Australia don't have uncomfortable weights. You will not have a problem moving them from one location to another. 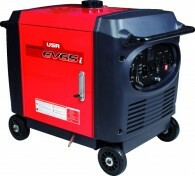 Get the best of portable generators from anywhere in Australia at PowerCare. With just an order, you have power all your life!